Heavy duty inverter rated at 1700 Watts, 1400 continuous, 3000 Watts surge. 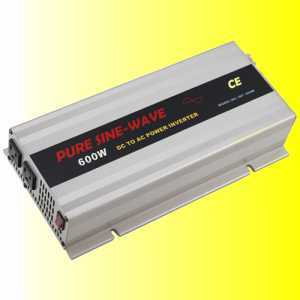 We have been looking for years for a reliable pure sine wave inverter. This is it. It is designed in North America and manufactured in a first-class ISO-9001 factory in China. We have searched for a reliable pure sine inverter so you don't have to. 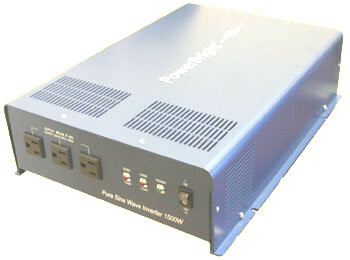 1500 Watts continuous, 3000 Watts Surge No Longer Available, sorry. Feature Gold Plated ring terminals, enhanced flexibility, non-gripping cable, oxygen-free high conductivity copper. PST-8-AWG6 105°C 8 AWG 6 ft 300 to 600 Watts . PST-4-AWG3 105°C 4 AWG 3 ft 1000-1500 Watts . PST- 4-AWG6 105°C 4 AWG 6 ft 1000-1500 watts . PST-4-AWG12 105°C 4 AWG 12 ft 1000-1500 watts . PST-2-AWG3 105°C 2 AWG 3 ft 1500 to 2300 Watts . PST-2-AWG6 105°C 2 AWG 6 ft 1500 to 2300 Watts . PST-2-AWG12 105°C 2 AWG 12 ft 1500 to 2300 Watts . PST-0-AWG3 105°C 0 AWG 3 ft 2300 to 3500 Watts . PST-0-AWG6 105°C 0 AWG 6 ft 2300 to 3500 Watts . PST-0-AWG12 105°C 0 AWG 12 ft 2300 to 3500 Watts . High quality inverter with relatively light weight for power supplied. Note: these inverters are OEM/Wholesale only, minimum purchase quantities apply.